Working with a client who struggles with deep feelings of shame can often be a delicate and nuanced process . . .
. . . and according to Peter Levine, PhD, there’s one mistake practitioners sometimes make that can send clients even further into shameful feelings. Here, Peter will share what that mistake is – and one way to avoid making it. Take a look – it’s about 4 minutes. As Peter showed, when it comes to working with shame, making that minor adjustment can often be an important first step in clearing our client’s path to healing. So I’d like to hear from you – how will you use these ideas in your work with clients? It’s interesting to know that shame and trauma have some connections and working with clients to make sure there is the distance they need and why. Love the studies! I found this extremely frustrating. Can you please summarize this in three sentences. Smiley nice makes trauam/shame patients feel fear. That makes sense— groom the victim– happy faces are associated with seduction/ being victimized. Is that the point. What’s the alternative/antidote? I have the same experience as Marian. What is the way that would be helpful to look at the client–facial expressions other than smiling, which from Peter Levine’s lecture, makes things worse. Really interesting. I know from my own therapy training one day working in a small (and very familiar to me) group. I felt I had failed badly at an exercise which brought up feelings of shame and self criticism. I was curled up on the floor in a blanket with my eyes shut. The group facilitator encouraged me gently to open my eyes and look around the group. As i looked into all their eyes one by one I saw kindness and compassion and felt accepted rather than ashamed. Shame puts us into a place of retreat, hiding and disconnection. While I feel connection with others heals shame. I guess as a therapist it’s knowing when to encourage connection e.g. making eye contact, against when to hold off from that because it’s more shaming. I know it took me about 4 years with my therapist before I could make sustained eye contact with her. It felt very difficult like I was being revealed…and shame made me want to hide. But once I was able to look deeply into her eyes it felt like a real breakthrough, like I had nothing to be ashamed of but was worthy to truly meet a person I respected so much. Proximity is a powerful aspect of attachment therapy of which the feeling of shame is ever present. Thanks for the reminder. Thank you for making this available. I am not a counselor or therapist by education but have worked with horses for the past 25 years and have invited people who are overcoming trauma/shame to watch. It is amazing how in watching the horses and relating to the flight, fight and freeze response that horses exhibit when facing a fear or challenge that people feel released to share their pain. It seems, like when the pressure is off of them directly and the focus is on the horse, their defenses get lowered. Could this be similar to what you are explaining? I love that you bring up horses – I was going to make a comment about them related to Peter’s mention of how the therapist and client are facing each other, while you brought up a different aspect re horses in equine therapy that also relates. The horse is a prey animal and a herd animal, so they tend to be hypervigilant, especially if not with their herd or troop. Human beings are also social animals, and if they have experienced stressful or traumatic events, may become hypervigilant and easily triggered. Re your observation that clients relax when working with horses, it is due in part to the focal change, but also because the horse senses somewhat of a kindred soul, so to speak, and a special dynamic occurs between the horse and person – the “I and Thou” almost spiritual reverential relationship Martin Buber discovered. The person makes a connection with the horse, much like a client develops a relationship with a trusted therapist. My comment relates to Peter’s mention of how a client and therapist face one another: in approaching a horse, a 45 degree angle is the least triggering for the horse, what feels safest for the horse (because they have a blind spot if something is directly in front of them, and will have to move their head back and forth to keep an eye on the potential predator). Removing that stress, they are less hypervigilant. I find that with clients with shame or trauma, arranging furniture so there is an option of angled seating (vs. full frontal, knee to knee interaction that can feel more confrontation) is best. It is a more trauma-informed approach, allowing a sense of safety in a spatial way in the room – just like the angle with a horse. Thank you for this! I am a student wrapping up my Bachelors and preparing to get my PsyD in Psychology. I’m also in counseling. My counselor sits off to the side of the room in session which allows me the choice of making eye-contact or looking elsewhere in the room. Sometimes I want and need the eye-contact, more often than not, it still makes me uncomfortable. I never understood why I had the feeling of discomfort until now since I ordinarily value eye-contact but do not usually discuss the trauma and shame that I am dealing with in my sessions. Interestingly, the times I have needed my counselor to help me ground and come back to present because I was unable to engage in the process myself beyond hearing what he was saying, he positioned his chair directly in front of me and very gently but firmly continued to draw my attention back to making eye contact with him. When I was grounded, he resumed his regular off to the side position. I had never considered where the client sat versus the counselor significant until the first time he made that change. It made all the difference for me, and I realized where he sat had been making a difference all along. It is something I’ve noted in my “Things to Remember” notebook for my own practice and now I have a better understanding of why it has been so important for me. Thank you again! I use a version of this way Peter works. If a client is wanting to tell me something that is extremely shameful for them, I ask them if it would help them if I sat beside them instead of facing them. They always say yes to this. I check that I have not placed my chair too close, but always make sure I’m also not too far away. This seems to help them. I use a version of this way Peter works. If a client is wanting to tell me something that is extremely shameful for them, I ask them if it would help them if I sat beside them instead of facing them. They always say yes to this. I check that I am not sitting too close, but always make sure I’m also not too far away. This seems to help them. Thanks so much! I will be using this info on clients who belong to the population I researched entitled “Lives Unseen: Unacknowledged Trauma of Non-Disordered, Competent Adult Children of Parents with a Severe Mental Illness” freely available at The University of Melbourne, Australia. This research will come up if you google my name, along with some trauma-informed articles I’ve posted on medium.com (includes a recent one on “Shame”). You should also be able to access my resource website same way. (Hope this is helpful). Thank you! Small changes; potentially large outcomes! Its handy to be taken back to the fundamentals of training in counselling skills — and the design of he counselling space. 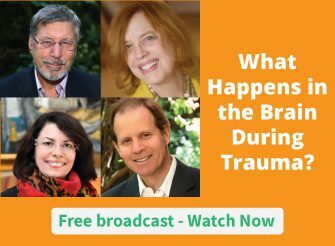 Thank you for your amazing comments regarding the alignment of trauma and shame and how they look in a collapsed body. I am using Clinical Hypnosis in my practice. This works to open up the release of shame within the unconscious mind. I then work with the body, through, hypnosis, to realign unconditional love (which is not performance based) for one’s body, replacing shame with love and gratitude for self. THis is really really helpful, I was in a situation where I inadvertently caused shame in a part time work colleague, whilst trying to be honest open truthful transparen non harming! This is the missing link of a jigsaw, which without it was inducing, huge shame/confusion/sense of injustice/anger/sadness in me and subsequently massive c ptsd symptoms which I suffer from daily. Interestingly too inflammation levels are soaring my body and stomach feels like it is on fire. Your work is SO SO VALUABLE – THANK YOU SO SO MUCH, my life is often overtaken by symptoms and I don’t recognise my old self anymore. If you can recommend a way to get regular affordable consistent help and support please advise as my symptoms severely impact my ability to work, even part time volunteer work. I So need more help! And can feel it’s never ending. I’m reminded that being “compassionate” with a client, can come across as trying to “fix” them. Which can be seen as them not being ok where they are. Hence increasing shame. In the same way mindfulness can give a meta-awareness experience that helps us get out of ourselves, I believe we can create an external meta experience for our clients by simply bearing witness. They get to be seen and heard without judgment or expectation for change. This might allow a level of acceptance, which is the opposite almost of shame. I have never heard this before but will make this adjustment and see what different response I might get. I don’t have any sound coming from my laptop, will you please write and tell me the “one mistake that can heighten a client’s shame”? Thank you!!!! Thank you for sharing this vital information. I have watched clients shut down in session. I try to make space for it and explore their physical sensations. My chair is on wheels and I will be more mindful of shifting the angle as I watch my clients.